Ready for an ironer pad with a long service life that improves linen presentation, while reducing operation costs? Then Southwest Laundry Equipment's "Steel Master Pads" are for you! This stainless steel padding, formerly called BesTeel, offers select, quality-ensuring properties that our customers can depend on for their ironing needs. Given their design to retain a roll's circumference, "Steel Master Pads" provide true graduation, resulting in a superior finish on linen with fewer wrinkles. Additionally, being made of steel, they can reach ironing temperatures quicker and retain heat longer than synthetic pads, thus requiring less boiler horsepower. Further, thanks to the decreased resistance these pads yield to extract moisture from linen, ironer vacuums can be more efficient. Consequently, cloths are drier and ironer covers last longer. Introduced over 50 years ago, "Steel Master Pads" have faced the test of time, usually lasting between 3 and 5 years with proper installation, with cases of padding lasting over a decade! When reinstallation is necessary, however, these metal pads may be recycled, making them the "green" pads of the future! 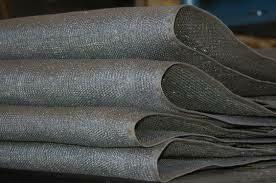 Perhaps the best news of all, this metallic padding is available for all makes of flatwork ironers in the market. A knitted metal mesh ironer pad with a 100% stainless steel jacket. This is simply the best and most durable ironer pad on the market. It holds chest heat longer while providing a free flow of vacuum. The ironer can run faster with higher productivity and a better quality finish. This pad has the lowest cost per year of any padding on the market.